New portal opens. Circus of the Mind. 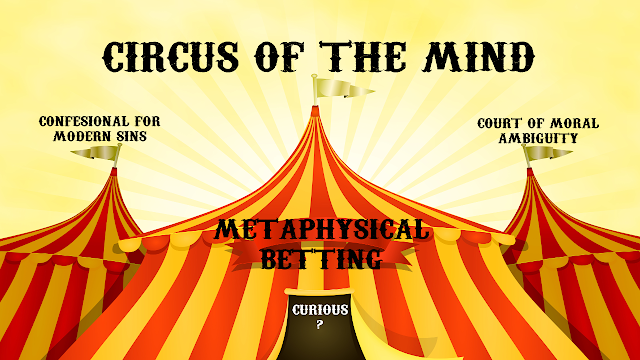 A gateway to metaphysical betting, the confessional for modern sins and the Court of Moral Ambiguity.